Shop curtains give you the ability and freedom to separate and maximize your usable shop space with a moveable barrier for confining paint overspray, dirt, dust, grinding sparks and contaminants, and controlling cold and heat loss. Shop curtain walls are perfect for bodyshops, industrial, woodworking, aviation, aerospace and many other applications. All materials meet NFPA 701 for flame retardancy. We have installed shop curtains system all over the country in many different types of industrial plants, factories, body shops, air craft hangars to name a few. 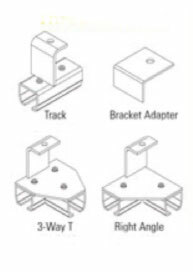 They are easy to install and operate and allow for the most flexible use of your space. They can be opened to move large item through the shop or left open when not in use. Get a Custom Curtain Quote Today! Our factory trained installation crew can get your new shop curtains installed correctly and quickly. Featuring our proprietary, tri-lateral polyester scrim design, Steel Scrim Vinyl is 84% stronger than standard laminate vinyl. 20-mil, flame resistant and double polished PVC window for a clear view of workers and operations. Meets CFM and NFPA 701 standards. Interior seams are electronically welded with RF bar sealers for an extra tough resistance to tears. Outer hems are sewn with a heavy-duty, double-lock stitched nylon thread. Heavy-duty, 3/16″ galvanized chain inserted into the 4″ bottom pocket to stabilize the curtain against drafts. Make for easy sliding and folding of the curtain. 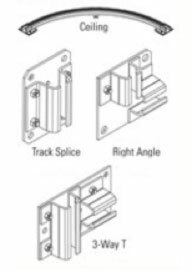 Two-wheel steel roller hooks are available for large curtain systems. 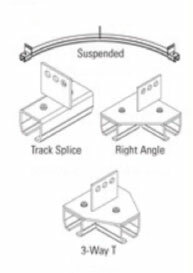 Heavy-duty, 16-gauge roller track system which modularly connects track lengths to your desired shape and length. 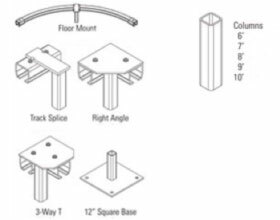 Available in Suspended Mounts – Threaded Rod or Beam to Chain, Ceiling Mount, Floor Mount and Beam Flange Mount. 14-mil, PVC weld-view window blocks harmuful UV Rays from welding while allowing view of workers. Meets CFM and NFPA 701 standards. 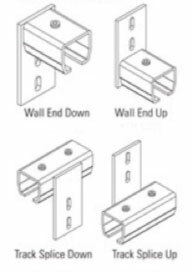 Attaches any curtain to a brick, metal, concrete or wood wall or door opening. Sew-in or velcro option. Seals bottom 1″ gap to seal off dirt, dust or contaminants. Included with strap and buckle. Securely fastens your curtain system when heavy updrafts are a problem.